Our mission is to provide information and market products relating to fence and fence related products, railing, gates, and the automation of gates. We currently provide fencing tips, fence installation information, and fence material calculators that aid our customers and the general public in these types of products so they will have the confidence to undertake their own do-it-yourself projects. We will continue to utilize the amazing power of the Internet to make as many new contacts for our products as possible. With this new technology we will in turn share our knowledge in the field of fence and related products. This information for the most part will be provided free to the public. In the fence industry, experience counts. Hoover Fence Company has been operating as a supplier of fence and fence related products for over 40 years. We are an independent, American, and family-owned and operated small business. We know the products we sell because we work with them. As a small family owned business with our name as our trademark, we must always value the commitments and promises made to our customers and our suppliers not only as a responsible business entity, but because our family name is at stake. We are proud of this contrast to corporate America. Established in 1976 by Frank R. Hoover, Hoover Fence Company provides products direct to businesses, direct to consumers, homeowners, contractors, trade partners, and retailers throughout the USA. 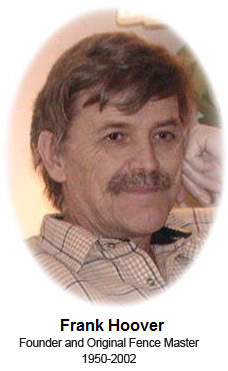 Frank passed away Feb. 14th, 2002 and the business has been proudly continued by his son, Chad Hoover. With over 100 years of combined experience, we have successfully installed thousands of fence, railing, gate, deck, and gate opener projects. This experience has granted us the foresight to predict problems before the occur - troubleshoot and solve problems once they happen. We are small enough to provide individual attention to each and every order, yet large enough to tackle the largest of fence projects. We employ a small, loyal, and dedicated work force. It is our belief that our experienced employees are the best suited to provide the service required for many of the products we offer. We pride ourselves in assisting customers with projects through completion. We are available before, during, and after your installation and provide technical support on all our products. We are not an Internet company that sells fence. 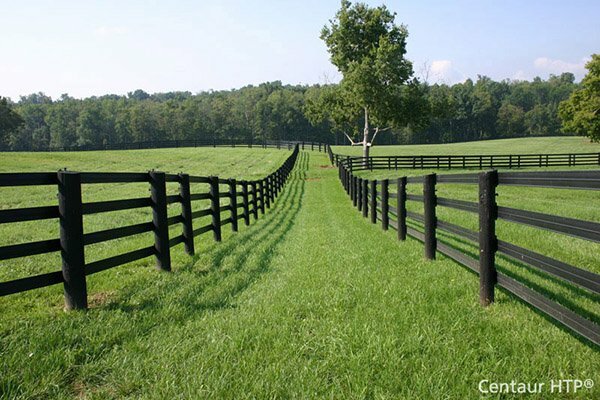 We are a fence company that markets primarily via the Internet. Every product we sell has been installed and tested in the field by our experienced employees. If you've come here from a referral, there's a reason! Warehouse & Location: We stock many of our fence products within our 65,000 square foot warehouse located in Northeast Ohio, strategically placed amongst several main highways for optimal and efficient distribution nationwide. Our inventory has allowed us to control costs for our customers, improve availability, and consolidate shipments for lower overall freight costs. We do not however stock all we offer. It is many times more economical and quicker to ship products directly from other warehouses and manufacturers to you. You will save time and money as a result of our versatility. Providing the best products in an economic fashion directly to you has been our success. Fabrication Shop: We have our own fabrication shop experienced in nearly all phases of fence and gate construction including, but not limited to: chain link fence and gates, aluminum fence and gates, vinyl fence and gates and wood fence and gates. Freight Logistics: We negotiate frequently the best available freight rates to lower costs to our customers. We also pick-up and deliver with our own trucks to lower costs.